Rojé offers top-quality First and Second grade Porosus, Freshwater, and Nile Crocodile skins in crocodile belly, crocodile hornback, and crocodile backstrap cuts. We only deal with genuine Crocodile hides and have partnered with the best farmers, hunters, and tanners who produce the highest quality crocodile skins and hides available. Our extensive global research, travel and a decade of experience in the exotic leather industry has lead to partnerships that bring the best valued crocodile skins to our clients for fashion, furniture, and upholstery production. Explore our sampling inventory of all in-stock and ready to ship crocodile skins in available colors and finishes. If you are ready for production orders of 10 or more skins per color, complete a production request or call to let us know what you need and we’ll quote a fair market price for the skins with a 50% deposit to start production. The longer these animals are on the farm and the larger they become, they require more food and care. A 2.5 year old crocodile will eat 2.5 times what they did the previous year. A more mature animal also becomes more aggressive and has to be separated to an individual pen or grow room. Increased demand also raises the price: a 40 – 44cm hide is the perfect size for a 16″ wide handbag which drives the price up. Farmers have to wait 3 years to raise an animal and produce a finished skin this large, thus driving the prices higher. 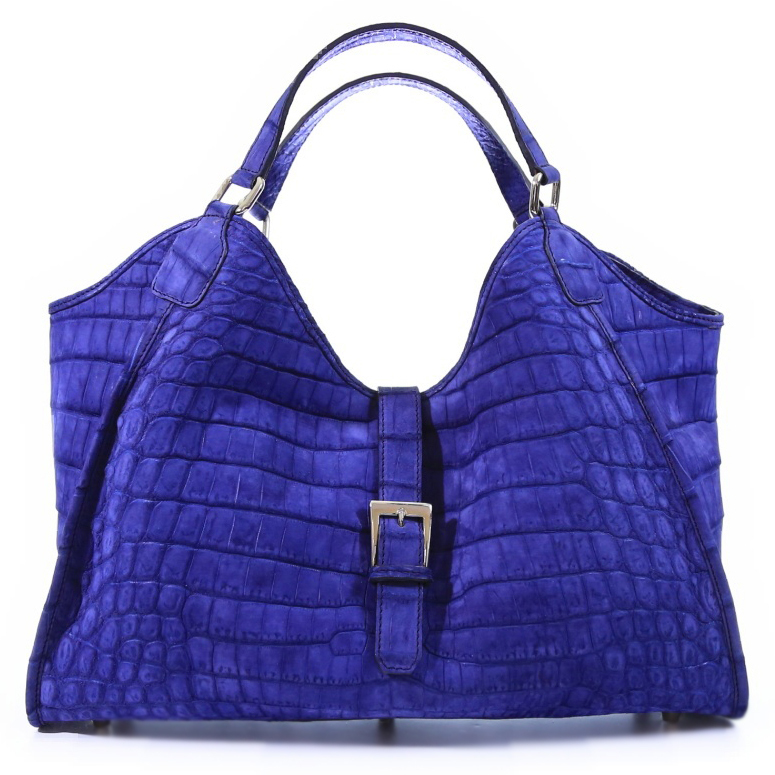 Rojé offers top-quality genuine Crocodile leather, commonly referred to as hides, skins, and simply Croc. 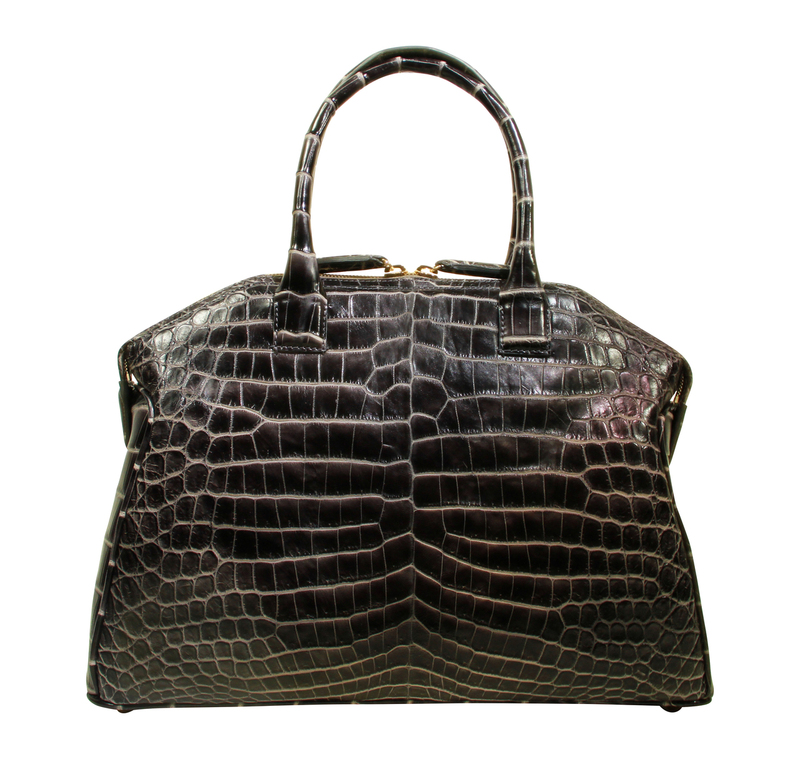 We process, tan, and finish genuine Crocodile hides in the United States and abroad. We strive to offer you the absolute best Crocodile skins currently available at fair market prices. Because of our extensive Worldwide research in the exotic leather industry and vast network, we offer finished or freshly tanned Crocodile skins – ready for fashion, furniture, interior design and upholstery production. Please inquire when you are ready to purchase the correct skins for your project. Each species has their own inherent benefits and costs and come in grades 1-6 as well as a “true garment grade” weight. Each species we offer are legal in the United States with CITES and Fish and Wildlife clearance as well as re-exporting to a majority of other countries throughout the globe. You will notice that we do not offer Siamese from Thailand, Viet Nam, or Cambodia as this species has trade restriction that make Siamese illegal to possess or market in the United Sates period; even with CITES tags and paperwork. With their intrinsic value as nature’s most beautiful leather, crocodile skins are demanded by all of today’s top fashion brands. Luxury handbag designers like Luis Vuitton, Gucci, Chanel, Burberry, Versace, Hermès, and others have made crocodile their exotic material of choice for their high-end product lines. The styles may vary greatly but a product made of genuine crocodile is always in style; when properly cared for, crocodile leather goods are the epitome of timeless luxury. Exactly what makes these skins so desirable is dependent on whom you ask, but its elegance is undeniable. Freshwater Crocodile (C. novaeguineae) from New Guinea is the most luxurious, currently we only have about 500 belly skins in stock. See the link below to view the current colors, and note also that we can produce any color in matte or glazed with an order of 4 skins per color. Sizes range from 35-60cm. Hides may be skived down thinner for garments. We always use extra oil when tanning these skins so we market them all as garment grade. Also available are Saltwater Crocodile (C. porous) belly skins in black, chocolate, and cognac garment grade matte, sizes between 40-70cm in stock and ready to ship. These skins were imported from Australia and carry a higher price tag. Sorry, no glazed at the present time. Lastly, we can supply Nile Crocodile (C. niloticus) from Africa, however quantities are limited. These skins range between 28-35cm in black, brown, and dark cognac; only matte finish. There are a dozen different species of crocodiles with habitats in nearly every tropical area across the globe. These are the largest surviving reptiles of the dinosaur age, and have been known to grow up to 8 meters. Crocodiles have been used over the centuries for food and oil made from their fatty tissues in addition to their prized skins. The jaw muscles of many crocodiles are capable of clamping shut with a force in excess of 5,000 pounds per square inch. Crocodiles eat fish, small and large mammals, and reptiles – including other crocodiles. Only 1% of young crocodiles will live past their fist year because of the high likelihood of becoming prey, but the lifespan of an adult can exceed 60 years.